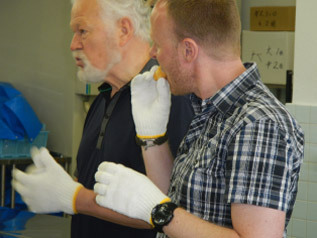 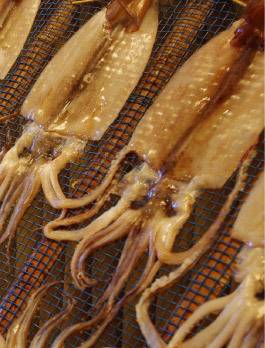 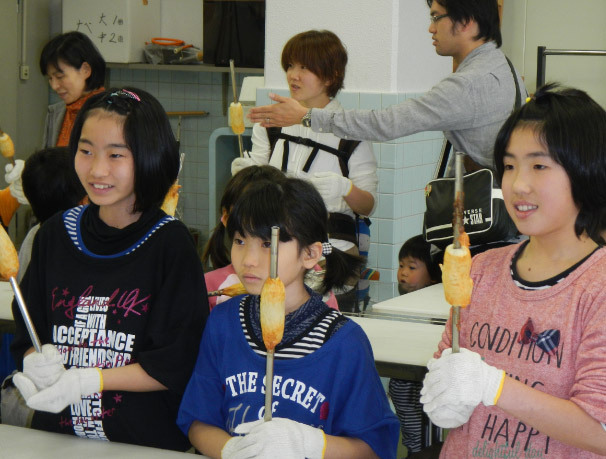 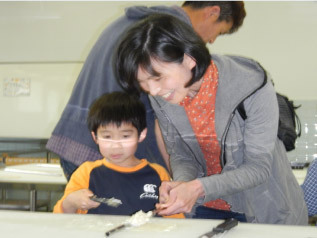 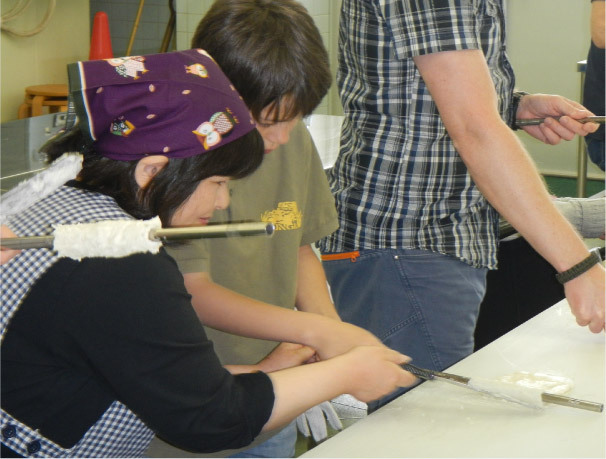 At the aquatic products processing workshop, participants are able to try their hand at making grilled chikuwa (tube-shaped fish-paste cake) and dried squid. 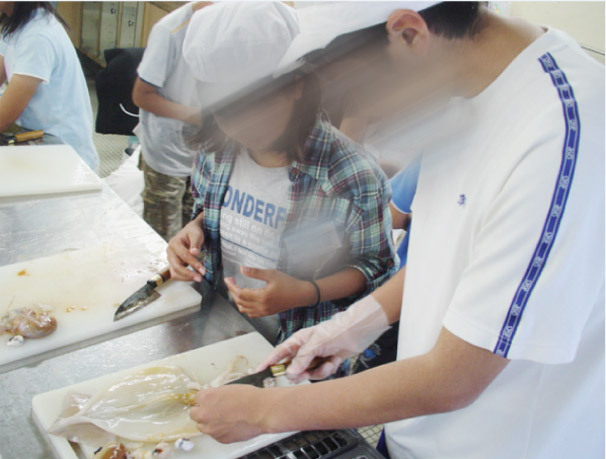 This experience is recommended for nature school programs and educational trips at elementary and middle school level. 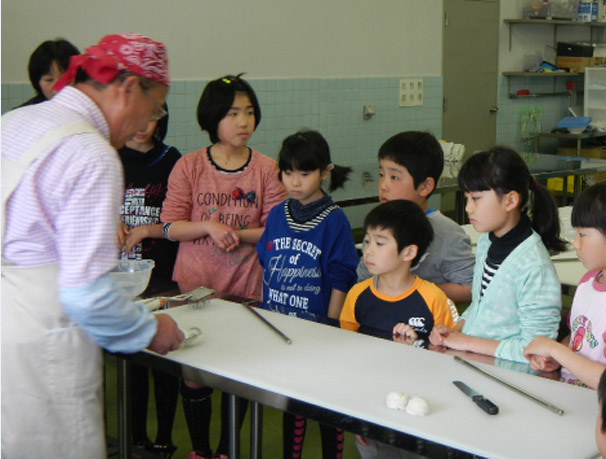 *For details, please contact us by telephone or e-mail. 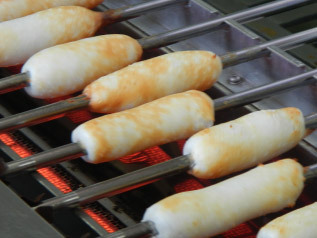 Freshly-grilled fish tubes are delicious! 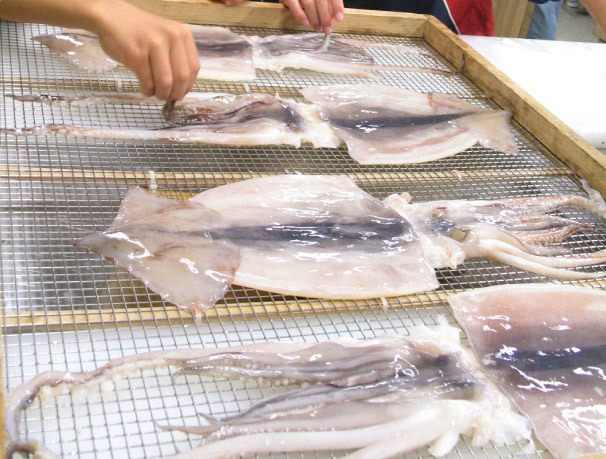 Why not try some homegrown Japanese seafood?